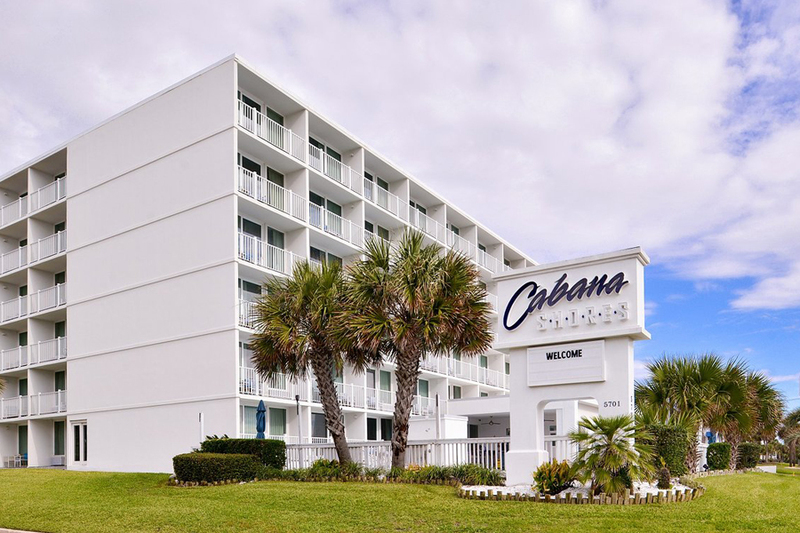 Welcome to the Cabana Shores Hotel in Myrtle Beach. 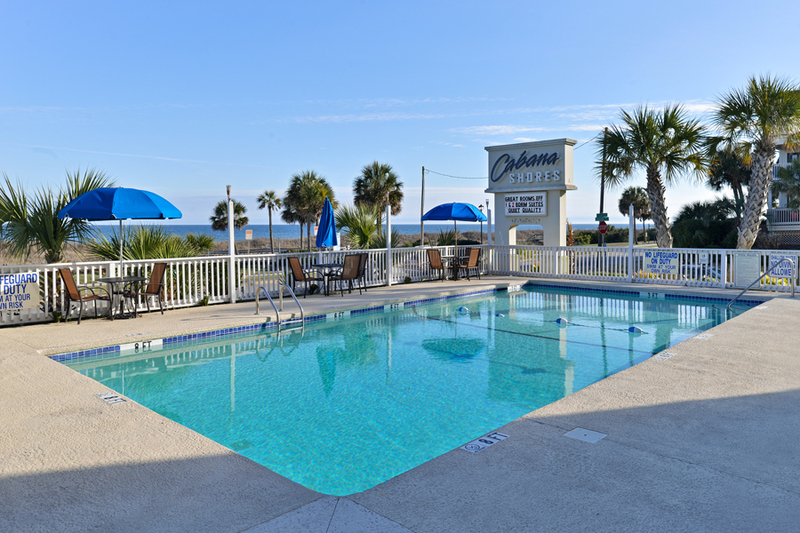 The only hotel located in the historic "Cabana District," overlooking one of the most preferred and secluded beaches in the entire Grand Strand. 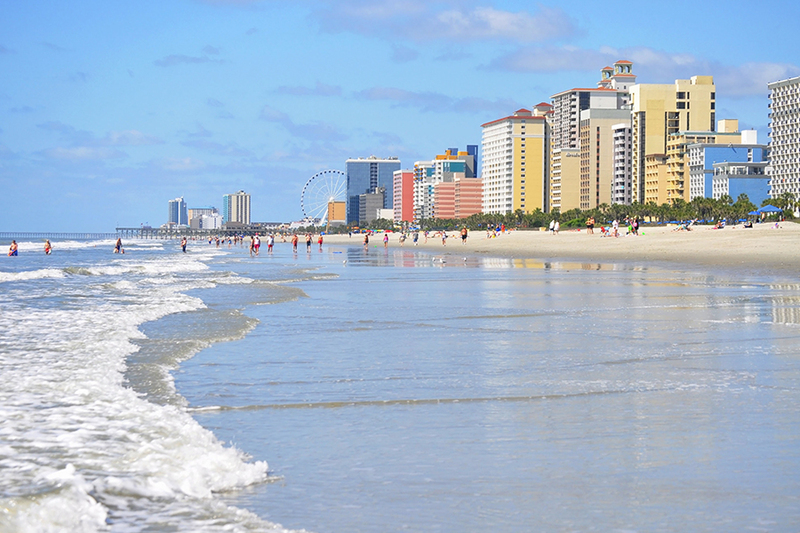 Our location is one of a kind. 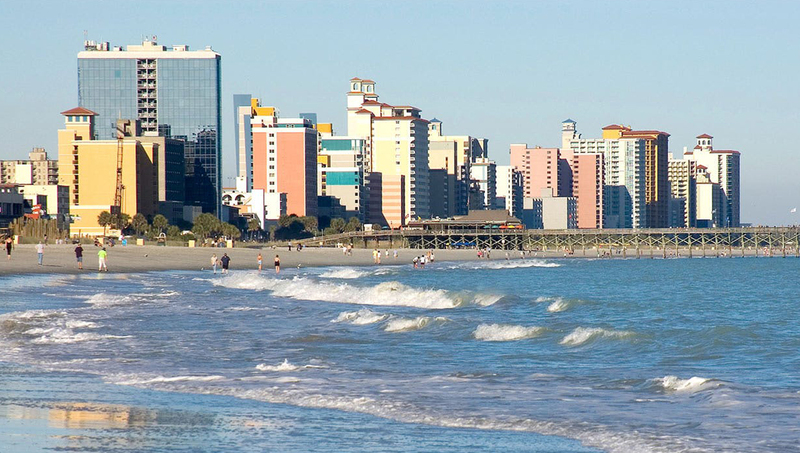 We are uniquely nestled in a quiet residential area, away from the hustle and bustle of Downtown, and the crowded section of Ocean Blvd. 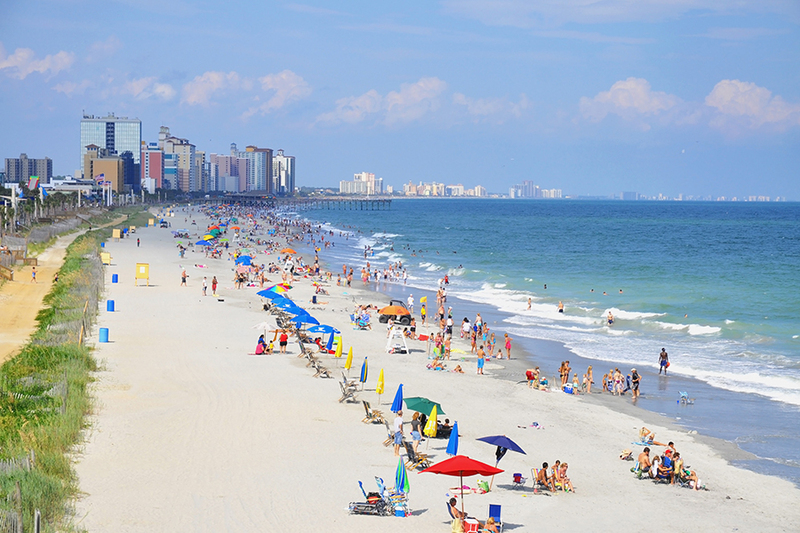 If you want quality, peaceful beach time, look no further. 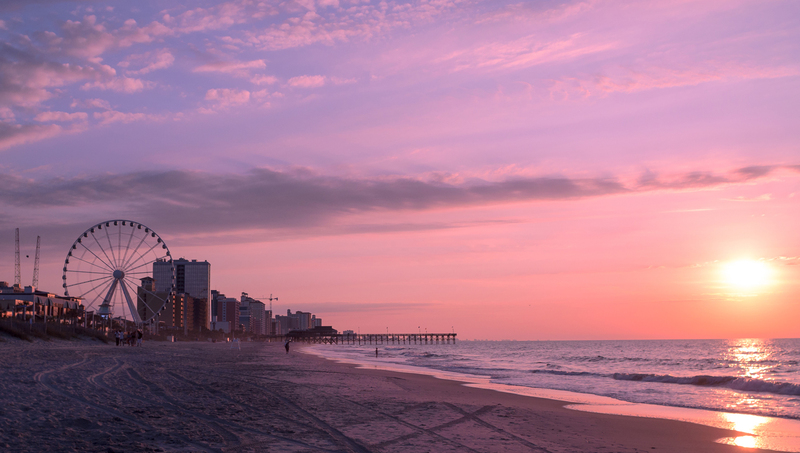 We're less than 4 miles from Broadway at the Beach, Downtown and the Boardwalk. 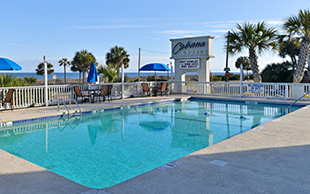 Cabana Shores Hotel wants to provide you with a comfortable and accommodating stay while visiting Myrtle Beach. 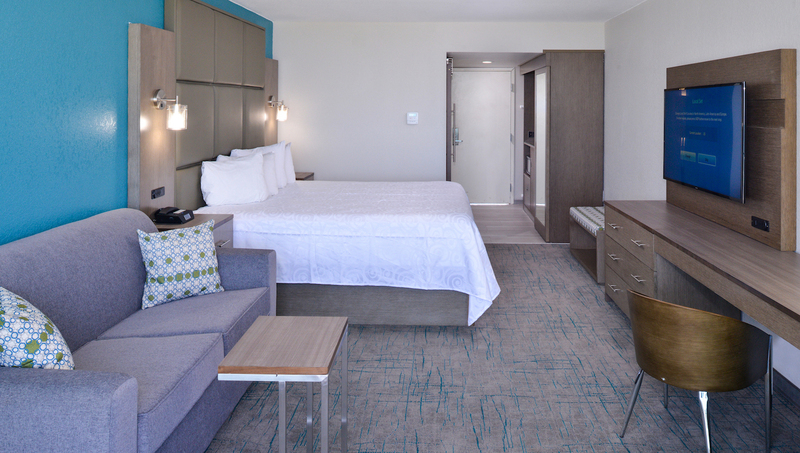 In 2016, we completely remodeled all guest rooms. Floor-to-ceiling windows abound. 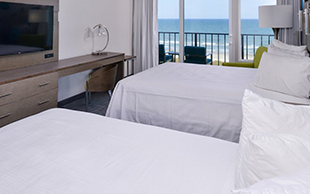 All of our guestrooms are ADA Defined service-animal friendly. You will love the boutique style modern decor throughout the room. Enjoy your favorite shows on our new 50" LED TV, or listen to your music on wireless Bluetooth speaker. Plenty of charging USB stations throughout the room. Start your morning right, with our premium in-room Keurig Coffee and luxury rain shower. The resort fee is just $5 a night. 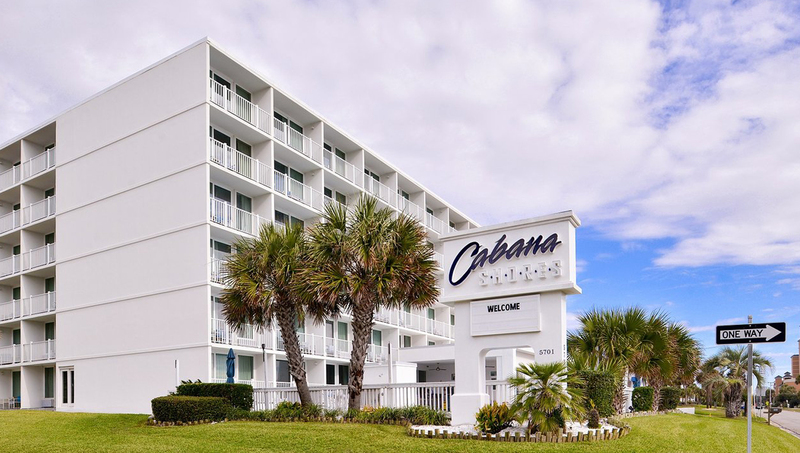 You will be provided the following: private beach access, self-parking, WiFi, phone calls, and use of business center with copy and fax services. An ATM is on-site along with vending machines for drinks and snacks, for your convenience. 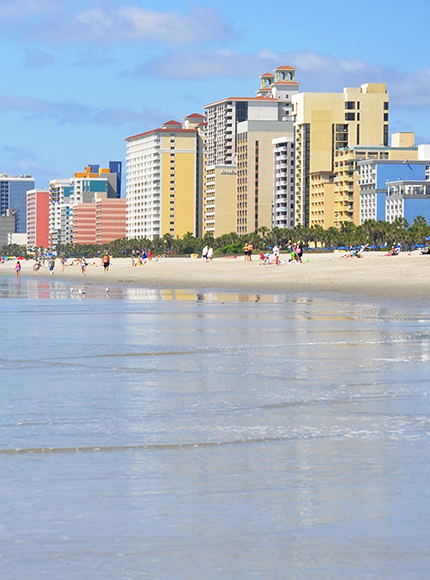 Booking direct guarantees the lowest possible rate. Book direct at Cabana Shores and waive the $5.00 nightly resort fee. 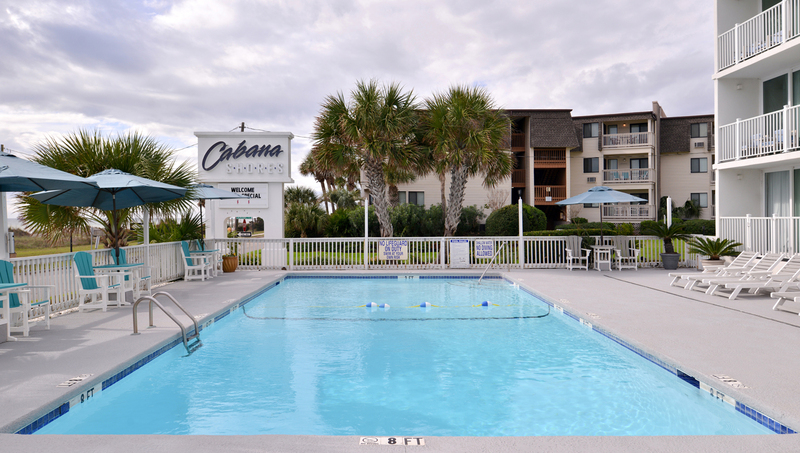 Sit back and relax at the Cabana Shores in Myrtle Beach, South Carolina. 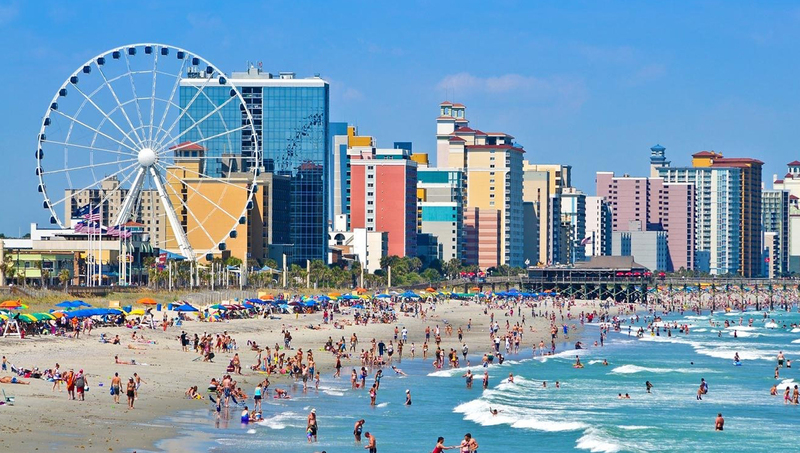 At the hub of the Grand Strand, a 60-mile string of beaches along the Atlantic seaboard of South Carolina sits the jewel of Myrtle Beach. 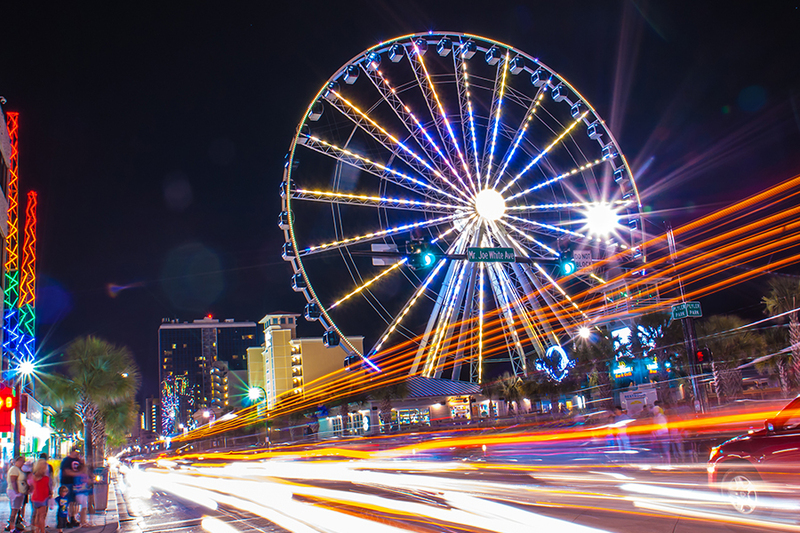 Best known for its celebrity-designed golf courses and beach, Myrtle Beach also boasts arcades, restaurants and souvenir shops along its beachfront boardwalk which is anchored by an amusement park and one of The World's tallest Ferris wheels! 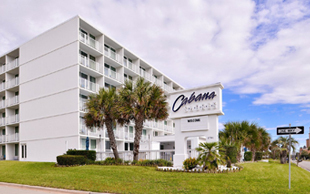 The Cabana Shores Hotel offers 91 modernly appointed hotel rooms located in the quiet, residential, Cabana District across the street from the ocean. 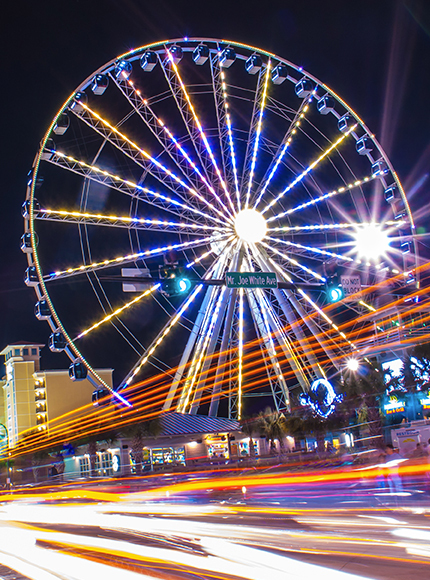 It is 3.1 miles from the Carolina Opry, 4 miles from Broadway at the Beach and 4.1 miles from the SkyWheel Myrtle Beach. 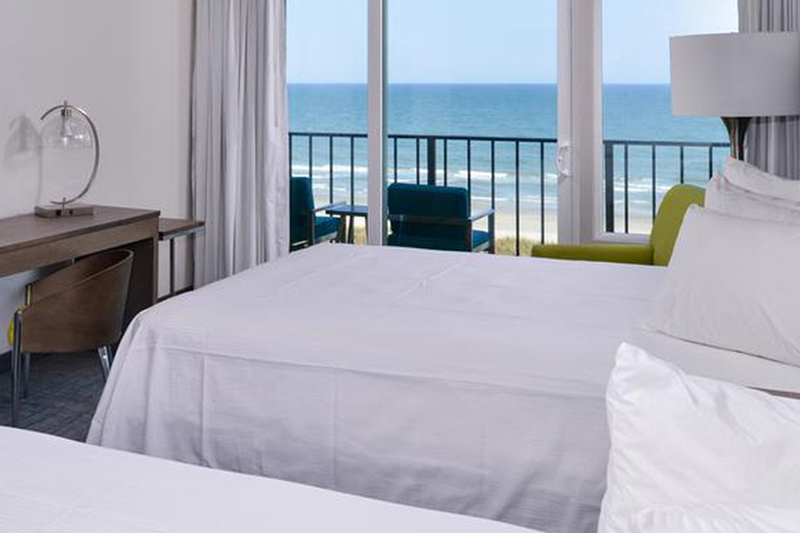 "Hotel did a great job with renovations. Room was spotlessly clean and such a quiet hotel compared to big resorts. 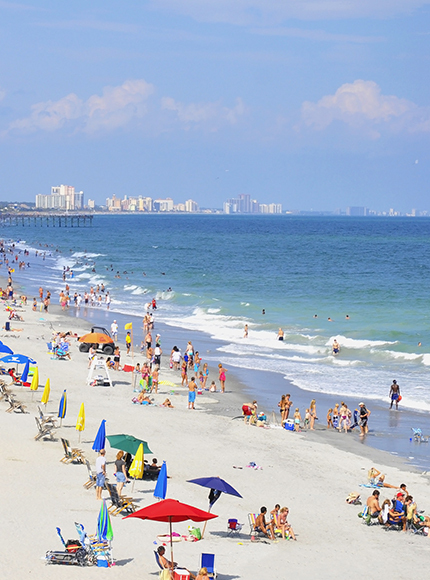 Will definitely be back!"